Network Rail is aiming to improve the reliability of passenger services by 15% by 2024, with nearly half the improvement taking place by next year. The rail infrastructure operator’s Strategic Business Plan for Control Period 6 (CP6), which runs from 2019 to 2024, sets out how it will spend its recently agreed £47bn budget, with a focus on works that will improve reliability rather than large-scale enhancement projects. The plan includes a 25% in funding to reduce delays and improve infrastructure reliability. Network Rail said there is a further £10bn railway enhancement fund that the Government has made available for railway projects that maybe delivered by Network Rail or others. In the foreword to the document, Mr Carne stated that despite a significant increase in the number of train services over CP6, Network Rail, working in partnerships with train operators, will achieve a 15% reduction in the number of trains that are delayed, providing estimated annual economic benefits of around £0.4bn by the end of CP6. The document points to a recent reversal of the decline in the number of trains arriving on time as measured using the Public Performance Measure and adds that to achieve the forecast 15% improvement, the level of delay must improve by 7% by the end of CP5. Mr Carne wrote: ‘The amount of passenger travel on the railway is forecast to increase by 15 per cent over CP6, adding to the doubling of passengers in the last twenty years. The new capacity built in CP5 will help, with an increase in train services of nearly 10 per cent in the next two years. But there is no doubt that the railway is full or under strain in many places. Stephen Joseph, chief executive of Campaign for Better Transport, told Transport Network: 'This business plan is very welcome and the commitments to reduce delays and improve reliability will be supported by passengers - but the promises in this plan must be translated into real improvements on the ground. 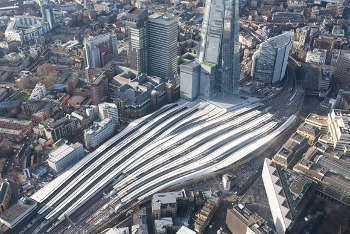 Alasdair Reisner, chief executive of the Civil Engineering Contractors Association, said: 'The rail sector is the single largest driver of activity for the UK’s infrastructure contractors. As such, members will welcome the additional clarity that has been provided by the publication of today’s Strategic Business Plan.